We weren’t jailed for a crime we didn’t commit. And it isn’t difficult to find us. But we still like to think of ourselves as the A-Team. With a core combined experience of over 30 years in the digital industry Born4Digital is quickly becoming one of the most talked about webdesign agencies in Bournemouth. With a flexibly rarely seen elsewhere in the webdesign industry we have the ability to bring in new talent and skills on a website design to deliver, what our clients have called, the most creative and powerful on-line business solutions they have seen. This is a screenshot from out latest website Footprints Worldwide! 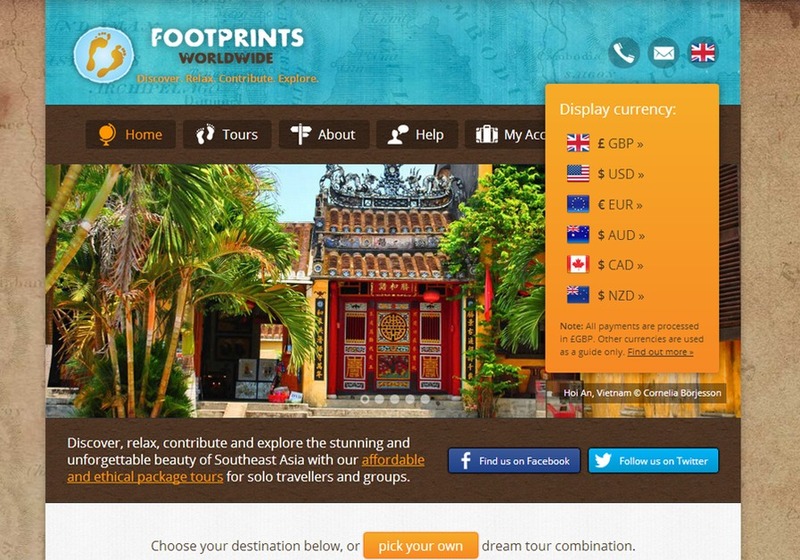 A creative & powerful eCommerce website for an independent tour operator.